At Q Collection and Q Collection Junior, we don't just sell products - we sell peace of mind. People Safe. Planet Safe. With all the recalls, new laws and constant information coming in about the harmful products and ingredients being used in our childrens' environments, peace of mind is worth a lot. Q Collection has been designing and creating beautiful furniture and textiles that are safe for people and the planet for a long time . More recently they've started creating the same things for children, especially infants. It hasn't been easy, but they are proud of the fact that they have an entire line of children's furniture and bedding made to the same standards they've always maintained, and while it may have been challenging, it was absolutely worth it! The collection is beautiful. It's whimsical and elegant, it is the perfect amount of modern... and has been used by even the most famous of celebrities including Gwyneth Paltrow and Nicole Kidman, but don't let that be the convincing factor. Allow Q Collection Junior to speak for itself. It's easy to fall in love with, and knowing your baby is fast asleep on bedding that is perfectly healthy will help you rest at ease, what could be worth more? Today Q Collection junior is giving away a set of their Celestial Parade Crib sets (that's a $400 value)! Which item from Q Collection Junior would you most like to have? Good Luck and Thank You Q Collection Junior! I love the sky set. It's perfect! The crib sets are beautiful I love them! I also am a big fan of the Alberto Winged Glider. Great Shape. So beautiful and simple! I am in LOVE with that glider - perfect!! I've touched the sky blue elephants in person, and the fabric is so soft! I would love to put Sugarlump to sleep on that. The Roxie crib set would be a perfect gift for a friend of mine who just found out she is having a girl. She loves the modern look! I love the astronomers stool in bright orange! That bedding is just beautiful. How would you choose between the pink and blue? I love the sky set as well! 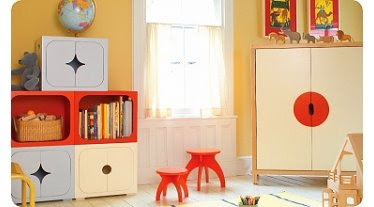 I love the Stella stackables, perfect for children's rooms. i love the soft blocks. my son would really be into those right now! the crib sets are beautiful & i love the clean lines & modern design of the furniture. I love Claudius the Bear. i love the Celestial Parade Sky Crib set!! I'm an elephant lover and this couldn't be more adorable! The solare wardrobe is awesome! I love the stackable storage set! I love the stackable storage bins, could always use more places to hide away books and toys. I really like the crib set in sky - it's so cute! -Kristin R.
The winged glider is beautiful. that winged glider is beautiful- wow...but first and foremost, the parade crib set! That Solare crib is stunning! I like the sky crib set, too. i love all their furniture, so adorable. The crib sets are gorgeous! wow, what a giveaway! i haven't been made aware of QCollection Junior before ... but i love it! the furniture pieces are especially nice ... like the storage shelves. They're beautiful, I wouldn't even be able to decide! LOVE the celestial parade sky set in Roxy--my daughter is totally attached to her stuffed pink elephant! Very cute designs! I like the "soft blocks", they look like a good thing for little people to play with! I like the galileo sheets. Very cute! oh my goodness! i am finally pregnant with my miracle baby and would love a beautiful crib set! The stella stackables have a nice vintage feel... love the mix of bright and subdued colors. I love the sky set - such beautiful bedding! I love the Solare Bookcase, plus all the other organizing items. They are wonderful! I love the sky set! Would be perfect for my baby boy. I really love the sky set, but I think I'd have to pick up the Roxy for my baby girl. Wow, what a gret giveaway! The crib sets are beautiful. I love the astronomers stools (small size). So much fun! Oh yes, I would love to win! The Sky colored Celestial set is lovely. I love the Galileo set! This is a fantastic giveaway! I love the bookcase, so cute! My favorite is the sky set. SO cute! I love all of the bedding. I bet they are super soft too. I, too, am in love with the Alberto Winged Glider. With all the books around our house I'd have to go with the book case! Shut the front door! I have baby boy coming in May, I would love the Sky crib set. Simple, Perfect! I would love their Alberto Winged Glider. Adorable! I'm a big fan of the stella stackables. Just what I need. Super cute! I love the crib sets...especially sky! Little Milo would have great, safe dreams on the SKY bedding. I'm in love. I'm due in 4 weeks. I'd have to go for the roxy crib set. Really cute and modern. I love it! Since we're working on our third child, good storage is a necessity. I have a hard time finding good ways to dress up our storage bins. Q Collection's stackable storage bins solve my problems! The white Circle Door Pulls bin is so stylish and modern-love it! And I can't say enough about the elephant crib sets-so beautiful and fun! Oh wow, that Solare Armoire is both functional and beautiful. Sign me up! Love the glider. Would look so cute in a bedroom. i love all the q collection junior stuff. i really like the bookcases. but i'd have to say i'd love to have a claudius the bear. he looks so classic. What a great giveaway! Either would be a great addition! Love it! all their furniture is fab. can't pick just one! Those stackable storage boxes are FABulous! i love EVERYTHING! im so glad you posted about this collection. i just spent so long coveting it all. love the solare crib. also love the roxy set. I love the elephants on the crib set. So cute! i am in love with the sky crib bedding. we could really use it! As for my must have item--it would be the Alberto Winged Glider---it looks AMAZING! Comfy and chic! :) Perfect. The crib sets are beautiful. I also like the changing table. Beautiful. so simple and clean. love it. Ooooh, I want the Celestial Parade set in Sky. LOVE the Galileo sheets! I would get the Sky blue elephants crib set. I love the fabric. I thnk all of the bedding is gorgeous! I would have a hard time choosing just one! I love love love the stella stackables. They would be so cute in our toyroom. But really anything from this website would be great...I for sure am buying this crib set for my next baby. Love the glider, the bedding, and the collection of Stella Stackables for storage. Everything is beautiful. Love the elephant parade... love it all! The Alberto winged glider is SO fabu! Very expensive but beautiful. I have had my eye on the sky set, so I was so excited to see it as a giveaway today! I sure would love the sky set for our little boy who is arriving this spring! I'd love a set of stella stackables with and without doors. I love the Stella Stackable with Star Door Pulls too. They look perfect for storage. Thanks for the chance to enter! Wow, I love their storage! The Stella Stackables and the armoires are fabulous! And what beautiful bedding - I'd go for the Sky set. the crib sets are beautiful. i would love to win! I love the winged glider amazing, I also love the sky crib set! The Alberto Winged Glider is the most attractive glider I have ever seen. I would like to showcase it in the center of my room! The crib sets are beautiful. With baby number three on the way, this is all a bit dreamy. This is am AMAZING give-a-way...and one that I so desperately need. :) I can only name 1 thing? OK...the small white astronomers table. Love it so much. Love that bedding too. i love the stella storage cubes! i love the alberto winged glider - just what i'm looking for in a new chair! the elephant parade sheets are adorable, too. Love the sky crib set and the claudius bears! The Alberto winged glider is beautiful. I love the Solare Changing Dresser. The sky set is great. So wonderful. I also love the armoire. Very fun furniture and wondeful designs. I love the solare nighttime crib. The Winged Glider would be my top pick!!! It is so stylish but has soft, gentle lines, perfect for a baby room. Thanks! I think the stackable storage chests are great! I love the sleek design and colors! I like the sky set. I also really enjoy their stella stackable storage units with and without doors. i LOVE that roxy crib set! the elephants are adorable...how i'd love to do my nursery with that! I love the roxy set! It would be great for my next girl! I LOVE the stackable storage! wow...that is awesome....I like Roxy! celestial parade in sky! celestial parade in sky! also loving the storage shelves with the stars! I love the stools. Functional and beautiful. I would love the "sky" set.... so CUTE!!! I love the stella stackable! I am so excited to find out about Q Collection Junior. I love these fabric designs. The Elephant Parade Boudoir Pillows are so whimsically wonderful..
ALL OF IT! I love the Stella stackable cubes, the Roxy bedding, the claudious bear. Great stuff! I like the luna changing table. I would love to win this for my little sister who is expecting her first!! I love the solare crib! Maybe for number three?! I love the stackable storage bins. So cute and functional! I like the elephant parade sheets in the sky color- they look really luxurious- thanks! Blue elephants, how can you go wrong? I sure hope I win! The Celestial Parade Crib Set - Sky would be perfect for our new addition! How perfect would this be with a new one coming and all her siblings stuff given away!?! Pink it would have to be! I love the stella stackable. Beautiful! Kristin H.
I LOVE THEM AND I LOVE YOUR BLOG! The crib sets are very cute! And I love the astronomers stool. The roxie set is perfect, but so is all of it! All of their products are amazing. And the crib set...pink or blue? They are both beautiful but I am in love with that blue!! The sky set is darling! I love the bookcases and the glider chair...everything looks so luxurious! I am loving the stella stackables. Perfect for my Stella. I'm currently in the market for a crib. And I really love the Solare crib. oh my! all so beautiful! The Solare Bookcase set is perfection. Love the prints on the Galileo crib sheets - would definitely pick those. I need that winged chair. In twig, please! Love the Stella Stackables. What beautiful and functional furniture. the stella stackable storage cubes! can not get enough storage units in our tiny place. I love the Solare Bookcase Set!! It would look great in the play room, so simple and functional! I am a sucker for storage- their Stella Stackables are awesome! Would love to win one of the crib sets! Brynn: I love the Stella stackables Star plus. Very cute! I love the Roxy crib set. Girly and cute. Sky...i love it! I love the elephants! Beautiful! I love the crib bedding set. Perfect. I love the stellas Stackable Chests, they are so cute and very practical! Thanks! my daughter wants this bad. real bad. I love the blue elephant sheets. Wow, the Alberto Glider is fantastic. The soft blocks look great! I like the Alberto Winged Glider. They have so many fun things. Thanks! I LOVE the Stella stackables! I love the design that makes them whimsical and unique. I don't see my three daughters smashing any fingers while getting their toys in these beautiful cubes. Just seeing these makes me want to make a fabulous play room for my girls. I also think the organic bedding is awesome. 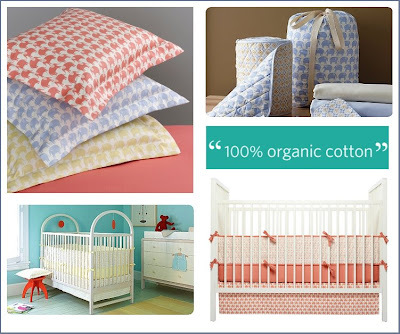 I've always been drawn to more simpler fabrics and the blue or pink would be so beautiful in Kora's crib! Glad to hear about this company! I like the stella stackable. No pinched fingers with those. Love the Stella stackable star door cubes. I love the Stella stackable shelves! I love the Elephant Parade Crib Sheets in Sky! i love the stackable w/ the star pull! Love the Celestial Parade Crib Set - Sky! It would be a perfect gift and then some! love this bedding it is perfect! simple and clean! So in love the astonomer's stool. Love it! We could use the Solare Bookcase Set at my house. oh my goodness, i LOVE those stella stackables. and the sky blue elephant bedding set... absolutely darling. Loved the stella stackables... they're great! I like the Forget Me Not Solare Armoire. I'm obsessed with the changing tables and their stools. How cute! I love the Stella Stackables! I could browse that site for ages - everything is incredible. beautiful, simple, fun! I'm in love with the roxy crib set. So maybe I dream big, BUT I'd most love to have the Alberto Winged Glider. I doubt that would happen but it would be a huge blessing to have that! LOL, but the bedding would be awesome also! I love their super cool furniture. i love the stackables in salamander! I love the Solare crib. i love the entire line. I LOVE the sky set. All of them are so simple and modern! LOVE THEM! i love "Alberto Winged Glider"
looks very modern and comfy, perfect for room !!! oooo-LOVE the sky set. I have a hand-me-down crib and set that I would love to upgrade for my next baby! I love love love the sky set. It is the perfect color combination and I would DIE if I won it!! The Luna Changing Table is very cool. I would love to win this giveaway - my sister is expecting and this would be soooo cool for her. I absolutely adore the Celestial Parade Crib Set in Roxy. It is such a beautiful and unique design. Too many lovely things! My favorites are the Solare Armoire and Bookcase Set or the amazing Alberto Winged Glider... and I would love to see Jasper ensconced in the Celestial Parade Crib Set. The soft blocks are SO cute! My little guy would love playing with those!! I love the Alberto Winged Glider. So perfect and modern. I LOVE the Alberto Glider! Awww, so cute and safe for my kiddies too! I love that celestial parade set but I also love their small astronomers stool. I'd love to have those in my preschool. So cute! I love the sky bedding for my upcoming grandson, or the astronomer stool or the stella stackers, but it's all fantastic! The crib set in sky would be perfect! wow. I am loving ALL of the stella stackables. And of course the bedding in sky. Just PERFECT! Those stella stackables sure would come in handy in my daughter's room! Claudius the Bear! Oh so sweet! the paradise crib set in sky is to die for! the elephant fabric is cuter than words! I love the Galileo Sheets and the stackable storage for our attic playroom. What adorable products. I really like the crib set in sky. How fun. The Alberto Winged Glider is calling my name! The little white stool is adorable too. what a great giveaway! I love the roxy bed set. So cute! I love the elephant and galileao sheet sets, sooo cute. I would love to get the Solare Armoire in Forget me Not. We need storage in our old house, since we don't have closets. It would go great in my son's bedroom, but so would that crib bedding. It is hard to choose. The bookcase set and the stackables are at the top of the list! !